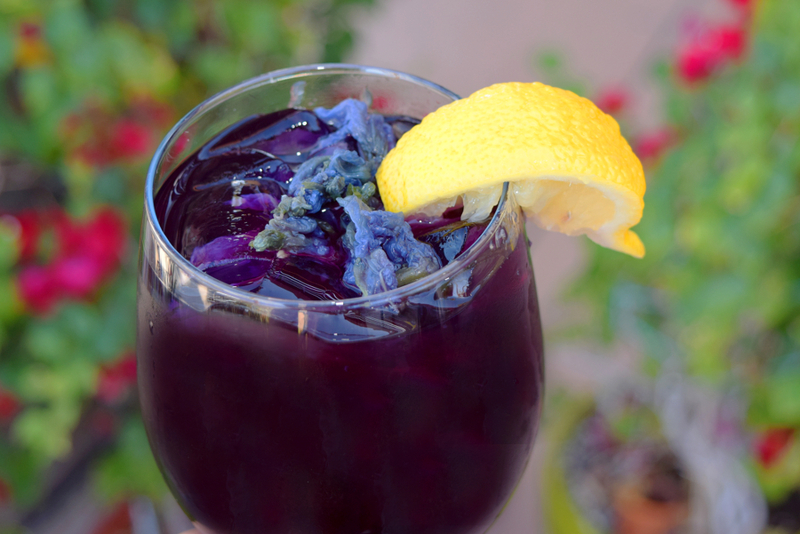 Party of 6 guests or more, gratuity 18%. Prices are subject to change without notice. Catering available, call for more information. 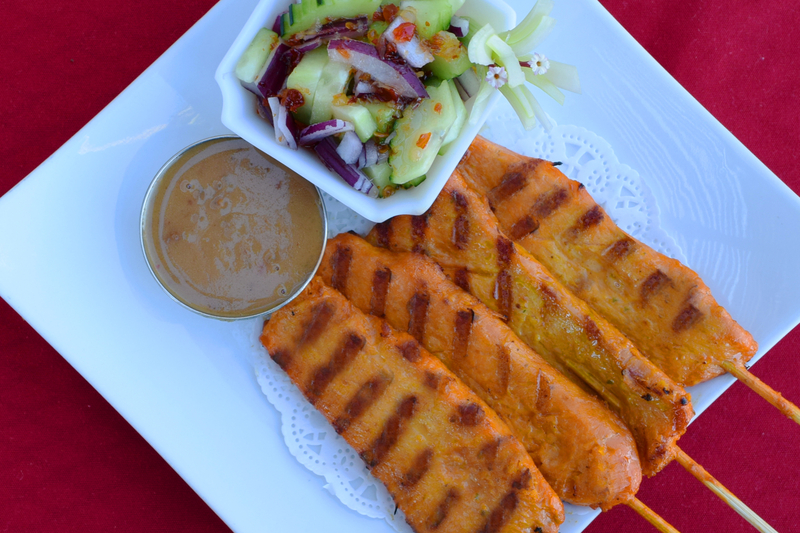 Chicken satay, steamed vegetables with peanut dressing. Choice of chicken, beef, pork, tofu or shrimp. Egg stir-fried in a wok. 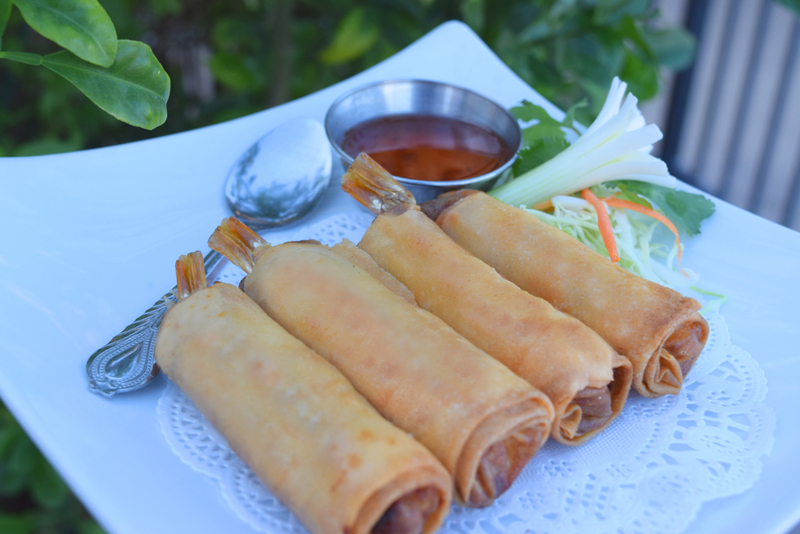 Chicken, beef, or tofu dredged in a light batter, stir-fried to a golden brown, topped with sam rod Thai sauce. Broccoli, cabbage, carrots, celery, baby corn, mushrooms, and snow peas in a refreshing mild sauce. Thai basil, carrots, celery, mushrooms, onions and green and red bell peppers in a hot chili sauce. Suchada’s chili paste sauteed with Thai basil, green beans and green and red bell peppers. Stir-fried with Thai basil, chilies, eggplant, and green and red bell peppers in a fragrant spicy sauce. Cooked with carrots, cashew nuts, celery, mushrooms and onions in a light honey soy sauce. Flash stir-fried with onion, green and red bell peppers, pineapple, and tomato in sweet and sour sauce. Fresh garlic sauce and black peppers on a bed of lettuce. Fresh ginger, carrots, celery, mushrooms, onions, green and red bell peppers, and scallions in oyster sauce. Sauteed with carrots and mushrooms in oyster sauce. Fresh lemongrass stalks as skewers, which impart their delicate lemony flavor to the ground chicken, glass noodles and cabbage, then they are marinated, deep fried and served with sweet chili sauce, topped with cucumber and ground peanuts. 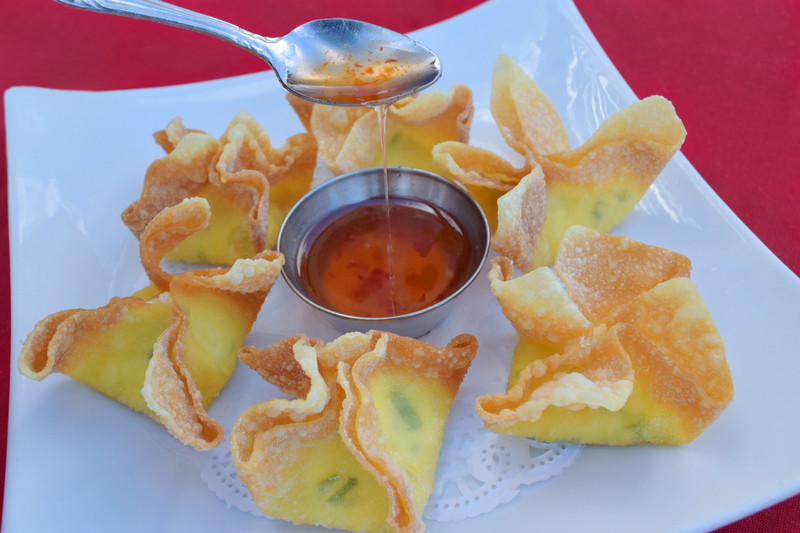 Crab meat, cream cheese and green onion stuffed in wonton skin and deep fried, served with sweet chili sauce. Thinly sliced chicken on skewers and marinated in a mixture of Thai spices, served with peanut sauce and cucumber relish. Shrimp wrapped with ground chicken and vegetables, deep fried, served with sweet and sour sauce. Crispy rice noodles marinated in tamarind sauce with fresh bean sprouts on the side garnished with green onion and cilantro. 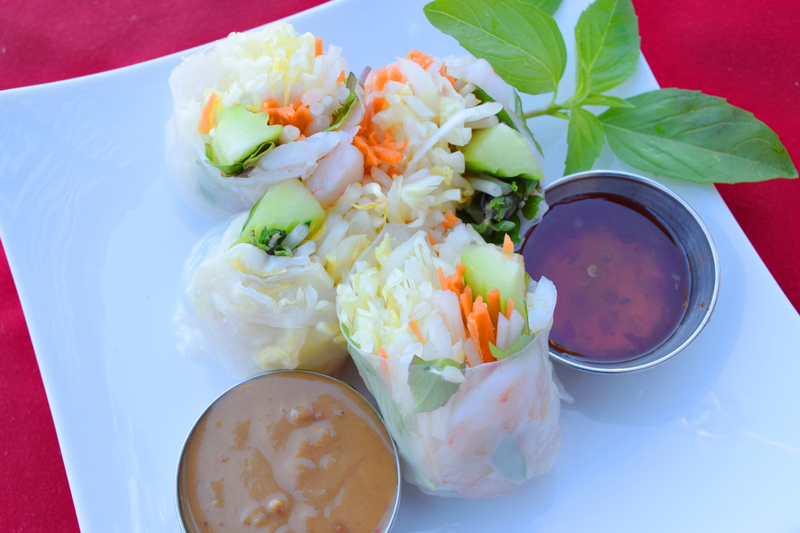 Filled with shrimp, Thai basil, bean sprout, lettuce, cucumber, and carrot, Wrapped in rice paper and served chilled with peanut butter sauce and sweet chili sauce. Delicious Thai pot stickers filled with cabbage and mushrooms in a wonton wrapper, steamed to perfection, served with our special soy-ginger sauce. Stuffed with ground chicken, cabbage and mushrooms in a wonton wrapper, steamed to perfection, served with our special soy-ginger sauce. Egg rolls filled with cabbage, carrot, garlic, mushroom and green onion. Deep fried until crisp and served with sweet chili sauce. Filled with ground chicken, cilantro, cabbage, and ground garlic. Deep fried to golden brown and served with sweet chili sauce. Diced marinated chicken with soy sauce, palm sugar, tamarind sauce, garlic, salt, vegetable oil, shredded with red and green bell pepper and served with a wedge of lettuce. Marinated tuna with lime juice, red onion, fresh Thai chili, fresh lemongrass, tomato, mint and Kaffir lime leaves, served with a wedge of lettuce. Large shrimp steamed to perfection, mixed with coconut milk, marinated in tamarind sauce and palm sugar. Served on a bed of shredded cabbage and garnished with roasted shallots and chilies. Fried tofu and crispy wonton skin, mixed with crisp iceberg lettuce, cucumber, and tomatoes. Served with peanut dressing on the side. Large shrimp with bell pepper, pineapple, yellow onion, tomatoes marinated in Thai lime dressing sauce, on a bed of iceberg lettuce. Fresh green papaya threads, shrimp, green beans, peanuts, and tomato. Served with spicy lime dressing. Glass noodles mixed with steamed chicken, slices, shrimp, tomato and roasted peanuts. Served on a bed of lettuce and tossed in spicy lime juice dressing. Large grilled shrimp mixed with Thai basil, lemongrass, red onion, scallion, lime juice, and chili paste. Served on a bed of lettuce. Steamed chicken and shrimp mixed with cucumber, red onions, cilantro, tomatoes, and scallions. Served on a bed of lettuce, dressed with tasty chili and lime juice. Thinly sliced marinated grilled beef and mixed with cucumber, mint, red onion, tomato, scallion, cilantro, and lime juice. Served on a bed of lettuce. Crisp iceberg lettuce with cucumber and tomato. Served with peanut dressing on top. With chicken, shrimp, rice, egg, cashews, onions, tomato, pineapple, raisins, and scallions. stir-fried and lightly dusted with curry powder. With beef, chicken, shrimp, rice, egg, onion, scallions, and tomato in an exotic blend of spices. 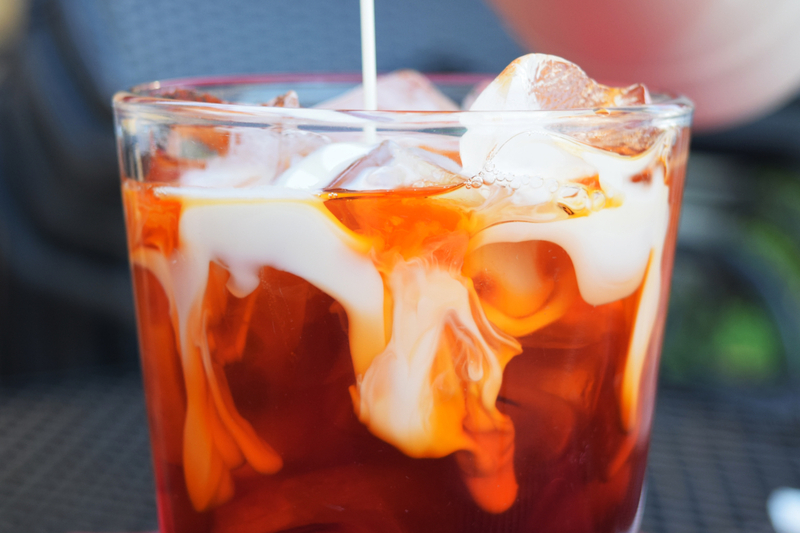 Great after party remedy with complex flavor. contains Egg, Thai basil, tomato, green and red bell pepper, onions, and scallions. Stir-fried broccoli, mushrooms, and carrots tossed in soybean sauce. Stir-fried mixed vegetables, Egg and clear glass noodles. With flat rice noodles, broccoli, carrot, and egg. finished with oyster sauce. With Peking noodles, baby corn, broccoli, cabbage, carrots, celery, and mushrooms. Flat rice noodles stir-fried with bean sprouts, egg, scallion and cilantro. Carrots, celery, mushrooms, onion, and scallions in our special sauce. Carrots, mushrooms, onion, and tomato in our light brown sauce. Stir-fried with chicken or tofu, bamboo shoots, cabbage and black mushrooms served with our special plum sauce in 4 pancakes. Stir-fried sliced chicken with Thai basil, green beans, green and red bell pepper, eggplant, and lemongrass in our green curry paste. Sliced chicken sauteed with green beans, green and red bell pepper in our spicy peanut sauce, sprinkled with ground roasted peanut. Szechuan style cooking with carrots, celery, mushrooms, onion, green and red bell peppers, and roasted peanut alongside our house spicy sauce. Stir-fried with carrots, cashews, celery, mushrooms, onions, and green and red bell peppers with chili paste, soybean oil, and oyster sauce. served on a bed of lettuce. With coconut milk, pineapple, green and red bell peppers, and Thai basil. With coconut milk, Thai basil, green beans, snow peas, and green and red bell peppers. With coconut milk, carrots, onion, potatoes, and peanuts. With coconut milk, carrots, onion, green and red bell peppers, and potato. With coconut milk, bamboo shoots, Thai basil, snow peas, and green and red bell peppers. With coconut milk, bamboo shoots, Thai basil, green beans, snow peas, and red and green bell peppers. Broccoli, green beans, carrots, cashew nuts and fried tofu stir-fried in spicy red curry sauce. Bamboo shoots, broccoli, carrots, baby corn, snow peas, green and red bell peppers with Thai basil and soft tofu in red curry sauce. Stir-fried bean sprouts, broccoli, scallions, fried tofu and tomato in a delicate herb sauce. broccoli, cabbage, carrots, celery, baby corn, mushrooms and snow peas stir-fried in aromatic spices. Steamed chicken in a clear broth, thin rice noodles, bean sprouts, basil, garnished with cilantro And scallions. Grilled salmon (8 oz), marinated in butter and paprika sauce, topped with fresh pineapple, green and red bell pepper with fresh tomato slices on the side. Steamed marinated fish with ginger, green onion, black mushroom, soy sauce, sesame oil, garnished with shredded red bell peppers. Lightly battered fish fillets sauteed with Thai basil, carrots, celery, mushrooms, onions, and green and red bell pepper in our hot chili sauce. Lightly battered fish fillets sauteed with bamboo shoots, carrots, mushrooms, green and red bell pepper, and scallions in our spicy sauce. Fried scallops with panko flakes in chopped chili sauce with diced carrots, onion, green peas, green and red bell peppers, and pineapple. Grilled marinated salmon fillet (8 oz) topped with teriyaki sauce and steamed carrots and broccoli with snow peas on the side. Combination of scallions, mussels, shrimp and fish sauteed with carrots, celery, baby corn, mushrooms, onion, snow peas, and green and red bell pepper in the chef’s special sauce. sauteed scallops with fresh garlic sauce and black pepper on a bed of lettuce. Lightly battered fish shoo shee sauce with Thai basil, pineapple, green and red bell peppers. Fish deep-fried to a golden brown with bamboo shoots, Thai basil, mushrooms, and green and red bell pepper. topped with our three flavor sauce. Large shrimp in light sauce deep fried to brown with bamboo shoots, mushrooms, Thai basil, and green and red bell pepper. topped with our three flavor sauce. With your choice of ice cream.